Puffin Plated: A Book-to-Table Reading Experience. 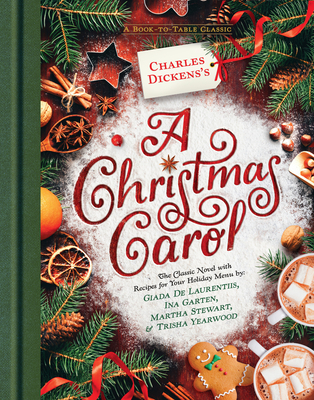 Have your book and eat it, too, with this clever edition of Charles Dickens's A Christmas Carol featuring delicious recipes from celebrity chefs. Plan your perfect Christmas feast with a carefully curated menu of holiday dishes, from succulent baked ham to smashed root vegetables. And top it all off with fruitcake cookies and pecan pie. Celebrate the holiday with a good meal and a good book! Book includes full, unabridged text of Charles Dickens' A Christmas Carol, interspersed with recipes, food photography, and special food artwork.